I met Jean Fullerton at my first Romantic Novelists’ Association (RNA) meeting, back in 2010, where she made me feel very welcome. I got to know her through the RNA’s London Chapter which she ran for several years, and last year she attended one of my social media courses for writers. I’ve heard Jean speak a few times at conferences. She’s a fantastic, witty speaker, and she does a lot of talks-for writers and readers, including talks on cruises (doesn’t that sound nice!). I remember listening to Jean one Sunday morning at an RNA conference a few years ago. Many of us were exhausted as we’d been there since the Thursday or Friday, and there had been late nights with much Prosecco consumed. 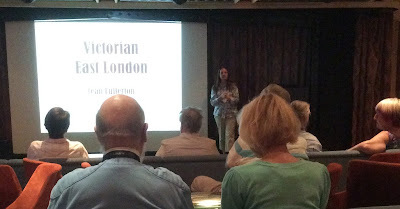 Still, Jean held the attention of an audience which filled the biggest lecture theatre on site and made us laugh, but also she explained about plotting in terms which everyone could understand. I asked Jean if she’d be interested in writing a post on author talks for this blog and she kindly agreed. Thank you Jean, and over to you! Long-established author friends tell me that a long time ago in a galaxy far, far away when the only place you could buy a book was in a shop, all an author had to do as far as promotion was concerned was hand the book over to their publisher who would do the rest. Sad to say, like milk bottles on the doorstep and afternoon postal deliveries, this way of doing things in the publishing industry has disappeared. Today authors, be they traditionally or independently published, are expected to undertake a great deal of promotional activity. So, to use that awful corporate phrase, we must work smarter, not harder. As all my books are family sagas set in East London, my core readers are women who have family ties to East London. Therefore, my target audience is very likely to be where the inhabitants of East London were rehoused after WW2 i.e. North East London, Essex, Hertfordshire and Kent, but how do I reach them? Being an outgoing sort of gal, I decided to put together a talk called Inside the Writer’s Mind. 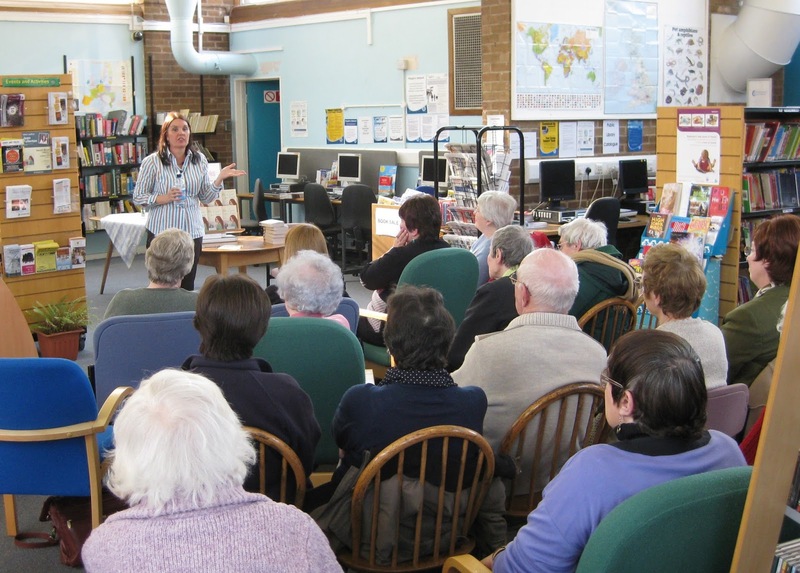 I then contacted the WIs and Townswomen’s Guilds, U3As and the Association of Women’s Clubs along with libraries and family history associations in the target area to offer myself as a guest speaker. That was in 2009 and the rest as they say, is history. Since then I’ve undertaken hundreds of speaking engagements. I now have a dozen talks including subjects such as Victorian East London, Victorian Medicine and District Nursing Before the NHS, linked to my current Nurse Millie and Nurse Connie series. Having cut my speaker teeth with local groups six years ago, I contacted a cruise agency and was taken on as an enrichment programme speaker on cruise ships. Since then I’ve done a couple of cruises a year with 4 or 5 lectures apiece plus the added bonus of having my books in the ship’s shop. I’ve been to some wonderful places such as St Petersburg and the Arctic Circle and I've met some lovely people. I know! It’s a hard job but someone has to do it. Now some of you might be daunted by the thought of standing up in front of 50-200 people but it is a wonderful way of raising your profile and I have some tips that might help you get started. You do know what you’re talking about. Yes, you do. How can you not if you’re talking about your life as an author or the research for a book? That said, you must prepare. Know what you’re going to say and in what order. Write bullet points for yourself not the whole script. There’s nothing more unprofessional than a speaker reading their talk. After you’ve done the talk a few times, you won’t even need to look at your notes. You cannot just ramble on so time yourself and have a watch or clock where you can see it. If you’re given an hour, talk for 40-45 minutes then ask for questions and don’t forget to mention you have books for sale. What people don’t pay for they don’t value. Other than libraries, I always charge a fee plus travel expenses. Be strong: If they say they haven’t got the funds then say no or it will cost you money to entertain them for an hour. Always take books to sell and cards to distribute so people can get ebooks if they prefer. Always discount the price on the back of the book and take a pen to sign them, and change. Get the exact details of where you’re going and the parking along with a mobile contact number in case of last minute problems. Always wear something comfortable and ask for a glass of water. If they offer you a microphone take it as it will save your vocal chords. You won’t dry up. Honest! If you lose your thread, take a sip of water and ask if anyone has a question at this point. Chances are someone has and it will get you going again. One or two people will fall asleep. Don’t worry. You’re not boring, it just happens especially during afternoon talks. From time to time you will get members of the awkward squad in the audience (usually men who think you need their incisive input) but don’t let them bother you. Just push on. You’ll learn to deal with them. Many organisations use PowerPoint so master the programme. I prefer to give PowerPoint talks because changing images keeps the audience focused and I can put all the names and dates I need to remember on the screen. I’m sure Anita could do a whole blog on PowerPoint presentations but a quick rule of thumb is no more than 20 slides for a 45 minute talk and 90% images and 10% text. Again, don’t read from your slide. Lastly, if you do decide to take your courage in your hands and start giving author talks: good luck and enjoy. Anita: Thank you, Jean for such a helpful and clear post! Find out more about Jean and her books below. Jean was born and bred in East London and is a true cockney. She is also a retired district nurse and university lecturer. She joined the RNA in 2003 under the New Writers’ Scheme and has never looked back. She won the 2006 Harry Bowling Prize for her novel No Cure for Love and signed with Laura Longrigg at MBA Literary Agents the same year. She has published two East London series with Orion one set in the mid-1800s and the most recent featuring pre-NHS district nurses Mille Sullivan and Connie Byrne in the years following WW2. 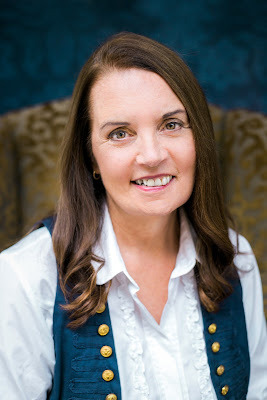 She has recently moved to Corvus, part of Atlantic Publishing and is currently working on a new East London series featuring the Brogan family during the dark days of WW2 the first of which, Pocketful of Dreams is due out in the summer. 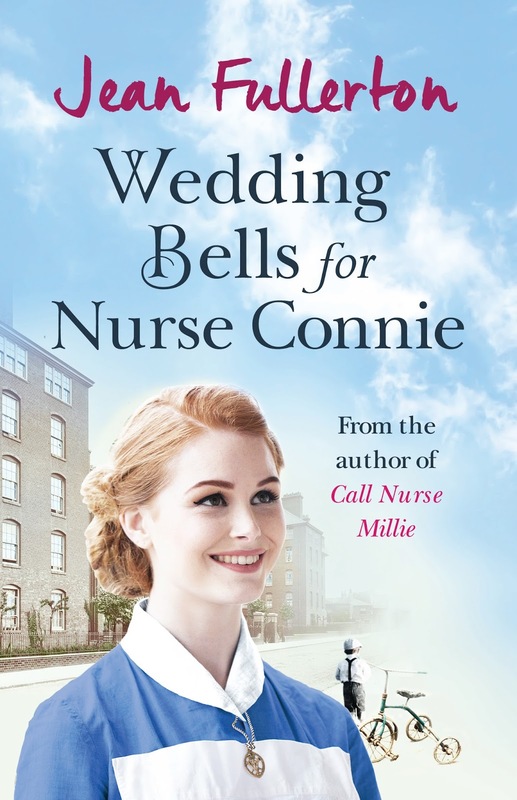 Jean’s latest book: Wedding Bells for Nurse Connie. It's 1948 and the nurses of the East End of London are making the most of life post-war. For Connie in particular, things are looking rosy as she looks forward to planning a future with her sweetheart, Malcolm. But, as many a young bride-to-be has proved, the course of true love never did run smooth and Connie finds herself having to grapple with interfering mothers and Malcolm's reluctance to set the date. But while there are many obstacles to overcome before walking down the aisle, at least Connie can relax in the knowledge that she'll soon be married to the man of her dreams, can't she?